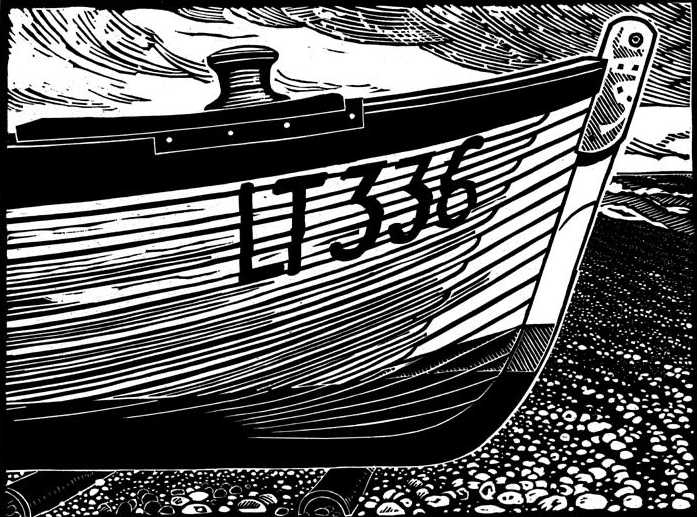 Small boats, lines and nets. 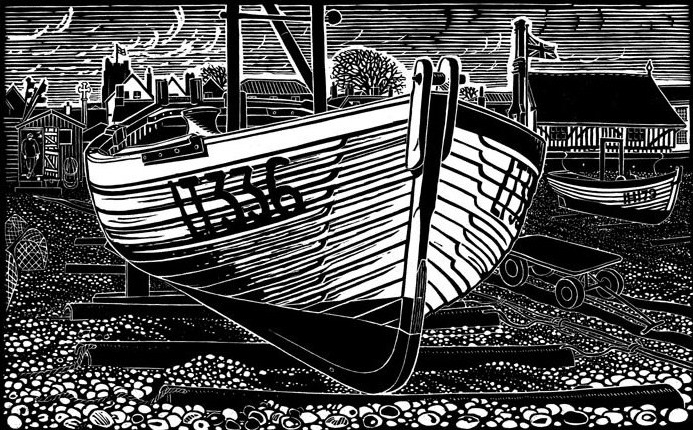 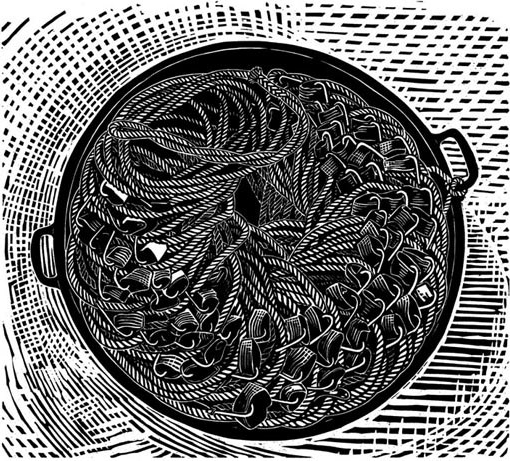 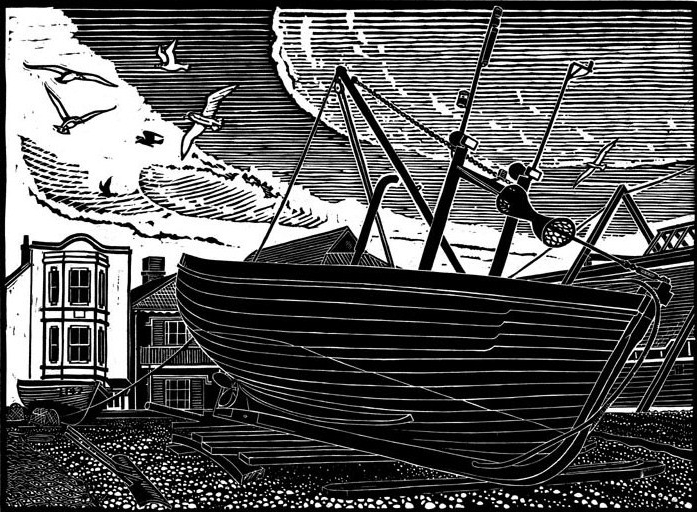 Here was a subject almost guaranteed to inspire Dodds ~ and he came up with a stunning new series of Aldeburgh beach linocuts: Aldeburgh Lobster Boat with the Moot Hall in the background, individual prints featuring the bow, stern and transom of Aldeburgh beach boats and the fascinating Longlines, the tools of the fisherman’s trade. 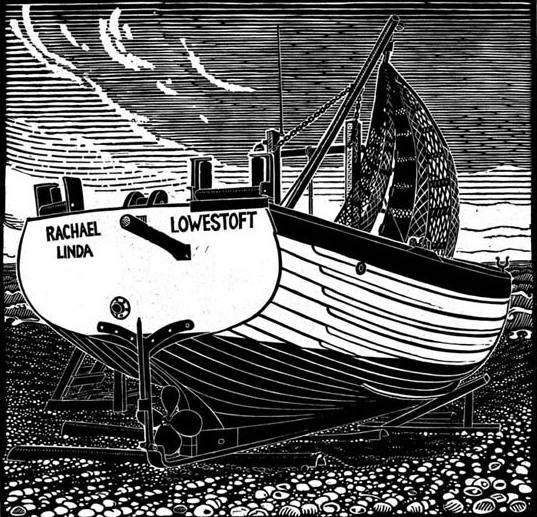 The poem was originally written for radio and first broadcast on BBC Radio 3. 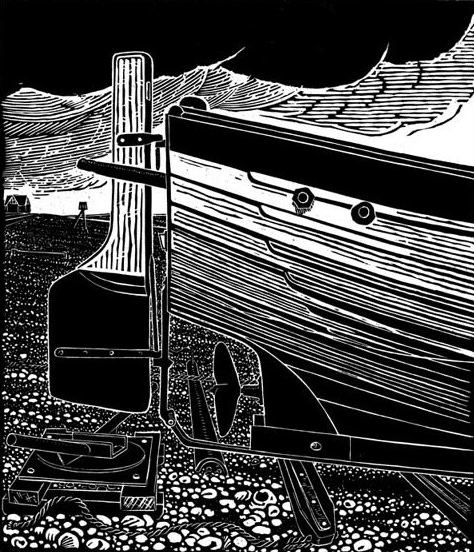 It is composed of two voices, who sometimes speak separately and sometimes simultaneously, indicated in this captivating publication by two colours of text on facing pages and integrated with Dodds’ new linocuts.